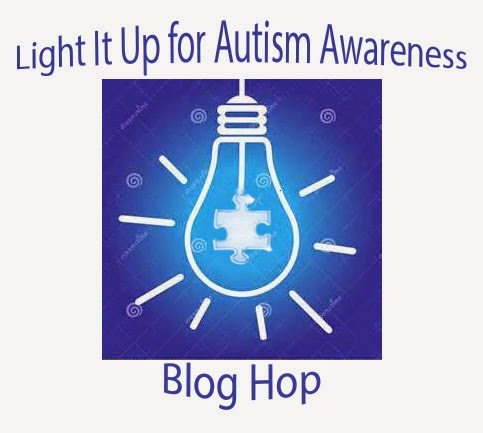 Jazzy Paper Designs: Light It Up Blue for Autism Awareness Blog Hop! Happy Thursday and Happy World Autism Awareness Day!! I am so excited about this AWESOME blog hop!! The reason why this blog hop is so close to my heart is because of this lil man here. This is my pride, joy, my life, my lil man, my partner in crime, my best friend, my miracle, my son. This is Thelonious Ross Nelson(Theo) and he is 3 1/2 years old. My hubby Tim and I found out that our lil Theo had autism last June. I am not gonna lie.... when I found out my heart hurt so bad. I felt like it was my fault and I cried all day long. Then I realized that I wasn't alone. People like Tim, Mom, Dad, Mom and Dad in-law, Veronica, Amy, Anita, Libby,Connie, Jessi, Pinky, Nitchka(if I missed any of y'all I am so sorry.....brain fart...lol) and many of the Autism FB groups and many others have helped me so much! Y'all are seriously my heroes......for reals.......WERD!! I am so grateful that all of you are participating in this wonderful blog hop as well. It really does make my heart HAPPY to see all of this AWESOME support from all of you!! THANKS SO MUCH! !To learn more info about Autism please go to the Autism Speaks site HERE! This is my card dedicated to my lil man Theo.......CHECK IT!!!! I am also so very thankful for these wonderful sponsors!! Thanks for supporting a WONDERFUL cause. Yes there are tons of fun prizes!! We will announce the lucky winners on Monday, April 6, 2015!! Last but not least I want to thank Veronica for coming up with this great idea in turning this awesome cause into a super duper AWESOME blog hop! Veronica.....girl.....you are soooooo AWESOME(thanks for all of your hard and AWESOME work!!) and I thank and LURVE you!! Muah!! Come and link up a card or a project to a wonderful cause!!! THANKS again!! I also played along at CAS(E) This Sketch!! Link below. You have until Sunday, April 5, 2015 to do so.....Woot Woot! Hello, Tenia! Your little Theo is precious - what a cutie! Thank you for organizing this hop! Great card - the puzzle pieces look amazing and I like your ink splatter and washi tape! This is fantastic! And Theo is too cute. Oh, your little guy is just so adorable! (Fantastic name, too!) And your card is fantastic, Tenia! your card is amazing , thanks for all your hard work for today's hop I am super honored to take part ...hugs to your lil man ! A fabulous card for Theo and a great blog hop! Fabulous card!! Love the puzzle pieces and how they spell out love!! Thanks so much for organizing this hop!! Yep, I'm going to cry with about every stop on the hop! Theo is just the most precious little man - and this card couldn't be more perfect, lovey! What a beautiful card, your son is adorable and obviously the perfect inspiration, so happy to be hopping along with you for a great cause! Another bold, brilliant card! I love it. Thanks for organizing this. Love how you and Veronica are using your talents for good! Theo is just the sweetest Tenia! love your puzzle card! My niece works with Autistic children so I understand a little about this disease..
your son is too cute. Beautiful!!! Such a wonderful card and this blog hop is such a beautiful event. Thanks for organizing it. You are amazing and your sweet Theo is too! Hugs, my friend! I like the blue background and the Love puzzle pieces are perfect. Great card, great cause! What a cutie, love his hair!!!! Definitely you are the best mum in the worl for this little hero! Many kisses from Spain! A brilliant design, Tenia! Love it! Your little man is such a sweetie...and you are an amazing mom! Tenia, your card is AWESOME! I love everything about it! You rock, girlie - as a mom and an artist! Your Theo is precious, just as you and your husband are; he was born into a family who would love and protect him perfectly! His life is enriched in being with you; you, with being with him. Your card: what else to say but I LOVE it! 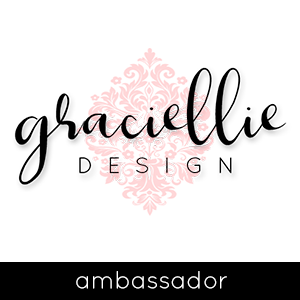 Thank you for the opportunity to join this blog hop; such an honour! Your Lil' Man Theo is absolutely adorable!! And I LOVE your card! This is such a great cause!! This card is so, so nice! Love it! Theo is darling. This is such a great cause to support! Your card is fantastic. I absolutely LOVE it!!! Your card is just adorable! And congratulations on this amazing event! Love your card!! Love that picture of your little man Theo...what a smile!! your little man is too cute!! and so is your card!! Aww your son is adorable and I am glad to be educated more about autism. thanks for the hop and what an awesome card. Love your card and that cute picture of your son (ha, I was typing 'your sun', and I'm guessing that would be true too!). 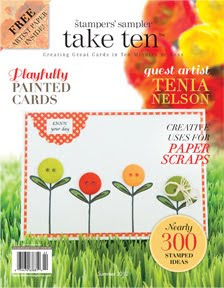 Tenia your card ROCKS! I think your little guy is amazing and just too precious! Loved being part of this hop! Such a cool card! Love the splatter and that great love puzzle! Tenia, you're card is FAB and so are YOU!!! Thank you for bringing this hop together! Lovely idea y lovely card for your baby!!!!!! Love the card for this wonderful cause, Tenia! Theo is such a beautiful child, you are truly Blessed! Theo is absolutely adorable!!! Your card totally rocks! LOVE it!!! What a great hop! Such a beautiful card! Your son is such a handsome boy!!! HUGS, friend! What a beautiful card! And what a cutie Theo is! Tenia - Theo has a radiant smile that I have a feeling lifts many!!! You are so appreciated for the efforts you have put into this hop!! Your card is so clever and so well done - exactly what I have come to see that you are!! Clever, creative and super talented!! So glad for your part in this hop!! Let's all pray that one day soon, they will find a real "cure" for this disease Tenia and our children will no longer be broken puzzle pieces but instead made whole. I love your card and your support. I'm sure your sweet lil guy is gonna love your fab card! What a terrific way to raise awareness... I'm glad you had such a nice turnout! 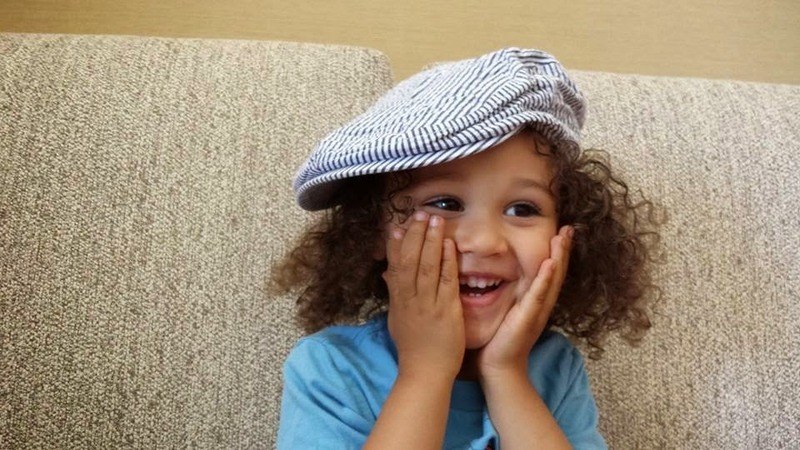 Theo is adorable -- all those curls! Love your card. He is adorable. The way you talk about him warms my heart. Hugs. Thanks for sharing your sweet card and for helping to raise Autism Awareness. Oh he is so cute! I love your fabulous card, so Jazzy! Thanks for inviting me to link up and hop along with you all. Adorable card! Thanks for sharing something so special! Congratulations on organizing such a fantastic hop for such a wonderful cause, Tenia!!! That little Theo is sooooo stinkin' cute! And your card is awesome!! Love the die-cut puzzle pieces spelling out "LOVE"!!!! Perfect! Hi Tenia! Your little guy is adorable! Thanks so much for this great blog hop. Your card is awesome with the puzzle pieces! Love! Theo is such a cutie and he's so lucky to have such a wonderful momma! Your card is absolutely adorable and so perfect for this hop! Love it, love it, LOVE it!!! Beautiful card design!!! Theo is adorable!! That is one handsome guy you've got there! And your card could not be more perfect. Love it! Thanks for all your effort with this ginormous hop, Tenia! your card is adorable and so is little Theo.. Your little man is the perfect piece to your family's puzzle. <3 Thank you so much for sharing your story and doing this blog hop to raise awareness! You rock!!! Lovely to 'meet' your gorgeous little man. What a great card! Autism is in my family too. My nephew, tho, is so lovable and loving. Thanks for all you do. Yep, LOVE-ing this card and you, my friend! Wonderful card and great cause. Congrats on raising awareness. TFS. What a sweet picture of your son! Your card is totally AMAZING!!! great card and precious pic! thanks for sharing!! Amazing event....so original card, very beautiful. Thanks for share this great cause. I think this is your best card ever! So sweet and Theo looks like a happy and loved child. You couldn't ask for more. What a handsome young man Theo is! My nephew has autism and I thank you for this hop to bring more awareness to the masses! Super cute puzzle pieced card. Thank you so much for sharing your story and that super cute photo of Theo and for organizing this amazing blog hop! Love your card, too! Your card is beautiful, Tenia! And your Theo is just adorable! Theo is so adorable! Hug him for me! I love your card! Gorgeous card. I loved the puzzle pieces and the thoughts. Thanks also for the Autism Speaks links. I too have a little man with autism. I'm interested in finding a support group and it looks like I may find it here. Your card is gorgeous and Theo is just cuter than cute! I love seeing your photos of him! Awesome card Tenia and perfect for the event so glad you and Veronica put this hop together. Beautiful card. I LOVE it!!!! Woww otro super heroe guapo!!! Esa tarjeta quedo divina!!! Sniffle*** Your little guy is just so cute!! And your card is perfection. It's bright and awesome and all things good. Thank you for putting this hop together! Just a beautiful card! I just love it! Oh my goodness he's a darling young man! Smiles. What a fun and special card for Theo! Love the puzzle pieces! Tenia, little Theo is still your beautiful boy with or without Autism. (AND he is BEAUTIFUL!) He is a hero and so are you. I will pray for you all. God bless. Great card for a lovely kid ! Organizing that blog hop is super !! 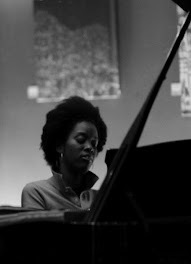 Tenia you just rock! I love this card and I am so thrilled to call you a crafty friend and get to hear about Theo over on FB. Blessings to you and your family! Your little boy is adorable. Thank you (and all the other participants and sponsors) for helping out such a great cause! cute and adorable in one word..
Oh wow! I simply am in love with those puzzle pieces!! So perfect......as is Theo, just adore!! Your lil man is way cute. Those curls... Oh my!! I am happy to come along and support all with loved ones in there lives who have autism. I support you and encourage you to keep doing what you are doing. Your card is wonderful. I love the colors, the puzzle pieces. All of it. Wonderful job. Hugs to you and your son. Wonderful card! My nephew was diagnosed autistic when he was 3 and is now 15 yrs old. Thank you for honouring this wonderful cause. 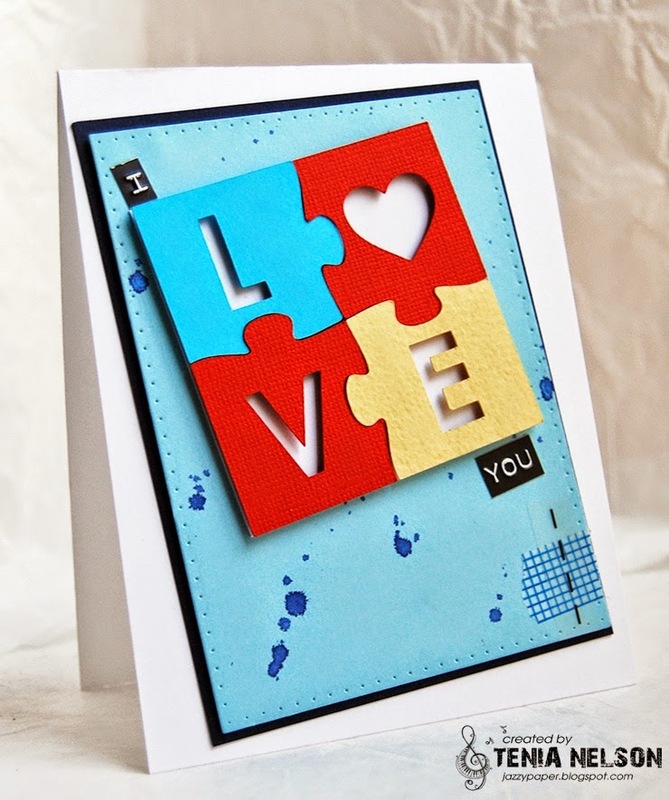 Your card is beautiful and represents the "pieces" to the puzzle of autism. I'm glad you have wonderful support and that your son has lots of love. What a wonderful idea for a blog hop. Love the card Tenia. Your little guy looks simply adorable, love all that curly hair. Years ago there wasn't as much information on Autism as today so for that I'm grateful. Thanks for sharing with us today. LOVE the card!! Your Theo is a GEM!! 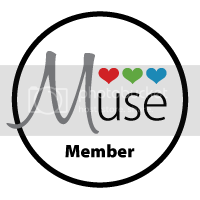 Love the card, love the blog hop (I'll try to join in), love your cute little Theo, and love you! Great post, Tenia. Gah! Mr. Theo is SUCH a cutie pie! Oh, hello to you & Theo! He is a doll. I love your card. You have captured the puzzle beautifully. As one who has worked for a great many years with many, many children on the spectrum, I applaud you for the awareness you are helping to spread. Love your little man! Wonderful contribution to your darling son. Congrats on the response of the blog hop. I hope the outcome is more than what you expected. I love your card! I too have 2 children with autism. It's an unique experience. I love the card you made! What did you use to make the puzzle piece? Love the puzzle and color combo, awesome kid card! I love your jigsaw puzzle card and it's just perfect for Theo! Thanks so much for organising this lovely blog hop. Wonderful card, beautiful Theo and such an important cause to support.! Theo is adorable! Great card...love the use of puzzle pieces! Love what you created for this. Thank you for sharing. Beautiful card for beautiful Theo! Thanks for organizing this fabulous hop~! Love the look of this card. Congratulations on organising such a worthwhile blog hop. My little boy who's almost 12 has Asperger's, and I wouldn't change a hair on his head for anything. He is more than wonderful just the way he is. :) Love to you all. Lovely card!! Theo is such a cute boy!! Big hugs my friend! Your son is a beautiful blessing !!! His smile is amazing and full of beauty !!!! The card you created is fantastic !!!! I absolutely love this! I'm jealous of your puzzle pieces! I've been dying to get a punch like that. Your little man is so handsome! What a cute card and you also have a very cute son! This is a great way to raise awareness about autism. FABULOUS card Tenia - Theo will LOVE IT - I know I do!!! 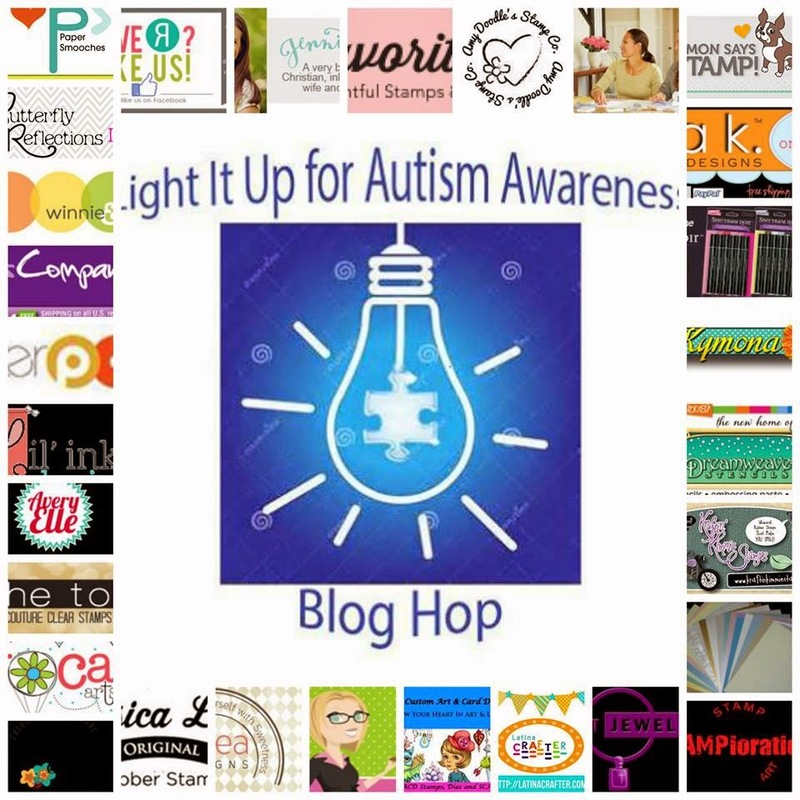 THANK YOU for co-hosting this Blog Hop with Veronica, and for sharing your caring & creativity - it looks like being an EVEN MORE AMAZING event than last year, a testament to your efforts in raising Autism Awareness and just how many lives have been touched by it!!! Thank you for this awesome bloghop and the awareness of autism your boy Theo is just lovely. Your card is awesome as always. Amazing working putting this hop together, your beautiful card and your joyous kiddo. Thanks for the support. Adorable picture, Tenia! 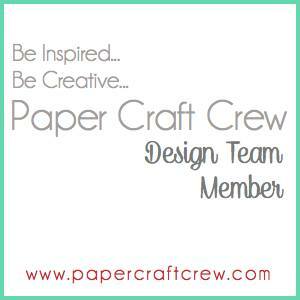 Great idea to have the Blog Hop & your card is wonderful! Theo is just the cutest guy ever!!! Your card is amazing like always and you are a superhero in my book! Thanks for working so hard on this awesome hop! What a doll baby! Such a great cause, Tenia! 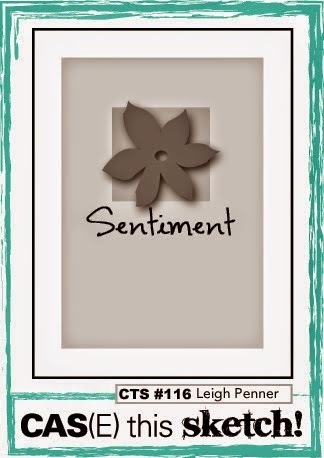 Love your little, paper-pieced, puzzle sentiment! Just perfection! the puzzle pieces are great! perfect for Autism Awareness, I didn't even think of using my puzzle stamp (darn it!) I really like the splatters too! Love your amazing card with the Autism awareness symbol on it! Thank you for being a part of this....what a wonderful way to increase awareness. And your card is just perfect! Such a a great cause, and I am so glad to be part of it, and such a cute and precious picture of your little one Tenia! way to go fro a great cause!! What a great way to support a great cause! I am a teacher and have had plenty of children who share in this struggle. My heart is with you and your lil man as well as with the other families who share in the daily struggles and joy of having children with autism. I can't believe he is 3 now - has the most beautiful smile just like his mama. Love your card, girl! I adore that puzzle piece card! Wonderful idea, Tenia and I'm so glad I had the chance to join in. I'm learning a lot from you and Veronica about autism. Thanks. I didn't know your son has autism. Thanks so much for sharing. He's adorable. Love your card. Your son is a real cutie! Such a great card! Thank you for being a part of this awesome blog hop and sharing your story! Your a rock star in my book! Thank you! Your son is absolutely adorable, and the card you made is awesome! Thanks so much for getting this fabulous hop together for such a great cause! Your Rock! What an absolutely adorable little guy!! And what a great mama for making him such a kick-a$$ card!! Love it!!! Hope your family enjoyed a wonderful Easter celebration today!! Love your card.and the cause. Theo is so sweet! I love him! He's lucky to have you and you him! Your card is AMAZING! I love it tons! The puzzle pieces with love are awesome! Fantastic blog hop Tenia. Love the puzzle pieces spelling out LOVE. Your little guy is so sweet! I am sure you take one look and forget all the trouble and hard work you have to do. Keep it up girl! You are amazing! Such a wonderful idea for a hop. I wish I'd known about your blog before hand. Love your project. Just wonderful. Stampendous! and Dreamweaver Stencils Goodness!! It's a Two Card Type of a Day! Sweet Stamp Shop Grand Re-Opening! !